The Horizon™ 639 LSO's innovative design delivers the benefits of added motion restriction in a low-profile brace that offers easy anterior entry. 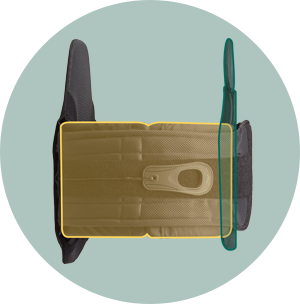 With coverage from the symphysis pubis to the xiphoid process along with overlapping anterior, lateral and posterior panels, the Horizon 639 LSO provides multiple layers of support around the entire torso for additional motion restriction in all three planes of motion. Designed to be easily modified, the xiphoid extension can be adjusted to contour and conform to varying anatomies. For shorter patients, it can be easily removed. Tall, rigid anterior panel provides added motion restriction and can be positioned for varying anatomies. 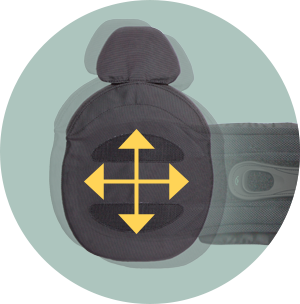 The tall, rigid anterior panel and overlapping lateral/anterior panels offer flexion and lateral motion restriction without compromising patient comfort, ensuring patient compliance.